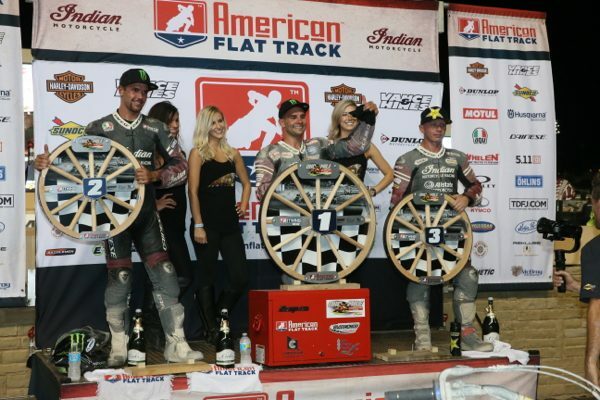 In its return to professional flat track racing after more than 60 years away from the sport, Indian Motorcycle Racing swept the 2017 American Flat Track Championship. Aboard the brand-new Scout FTR750 premier race bike, the Indian Wrecking Crew, consisting of Jared Mees, Bryan Smith and Brad Baker, finished the 2017 season with 14 total wins, 37 podiums and six podium sweeps. 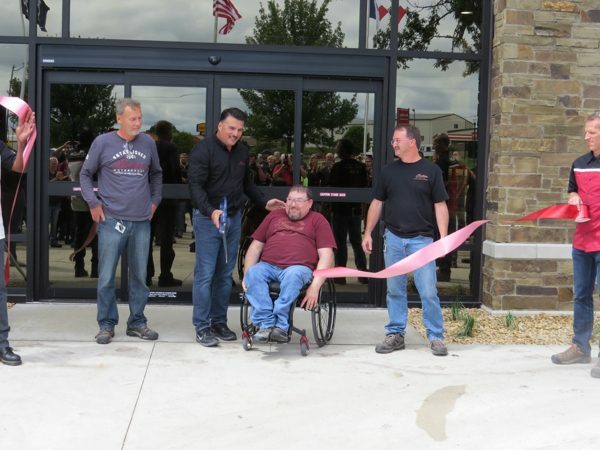 Indian Motorcycle opens an Experience Center at its Spirit Lake manufacturing facility. 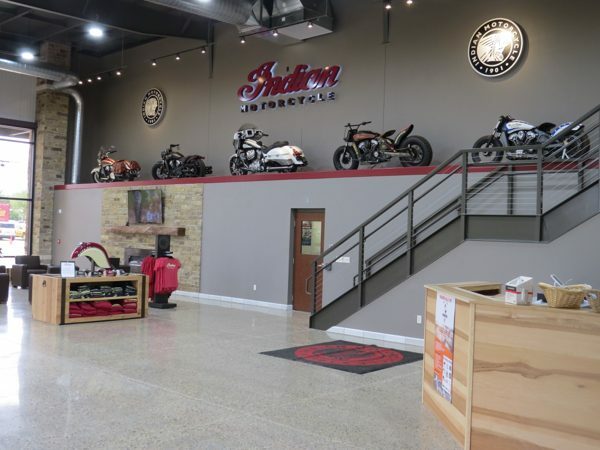 Based in America’s heartland, the Spirit Lake Experience Center is a free offering for motorcyclists looking to connect with the American motorcycle brand. We feel like the Scout is going places with this new version. 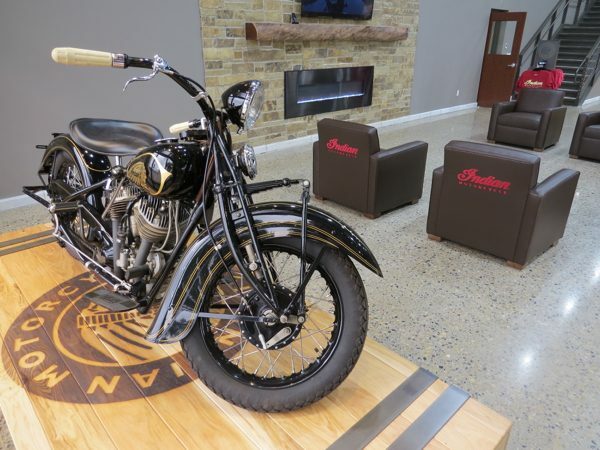 We were actually hoping that Indian would go further with it, making it more sporty, but that might be their next move? The product line still has room to expand, even if the market seems to be drying out; at least for Harley… Time will tell. 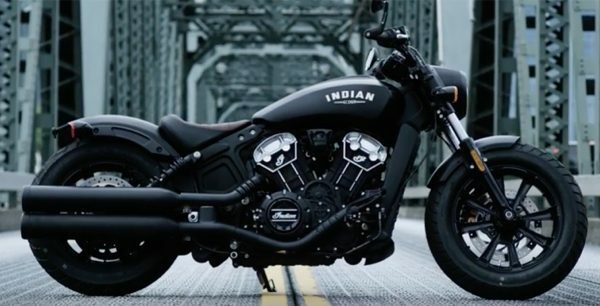 In the meantime, enjoy this guided tour of the Indian Scout Bobber. 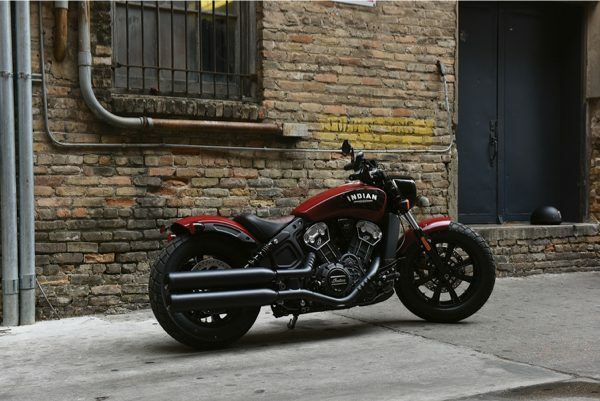 Now joining the Indian Scout lineup, is the new Indian Scout Bobber. Stripped down and looking slimmer and shorter, the low slung, blacked-out, minimalist motorcycle is out to prove that less is more. We couldn’t agree more. Indian Motorcycle Introduces a new variation on the Scout model line: The Bobber. It’s lean, mean, totally blacked out, and it’s got 100 horsepower. Check out the video below. What do you think? American Flat Track Rolling Wheels Half-Mile presented by Old Carriage House Apartments at Rolling Wheels Half-Mile in Elbridge, NY. Indian Motorcycle Racing and the Scout FTR750 captured its ninth win of the American Flat Track season at the Rolling Wheels Half-Mile. Indian Wrecking Crew riders Jared Mees and Brad Baker finished first and third, respectively, tallying 23 of 30 podiums for the Scout FTR750 in 2017. Mees’ victory reclaimed the points lead over on-track rival and fellow Wrecking Crew teammate Bryan Smith, as the two continue to exchange leads throughout the season. 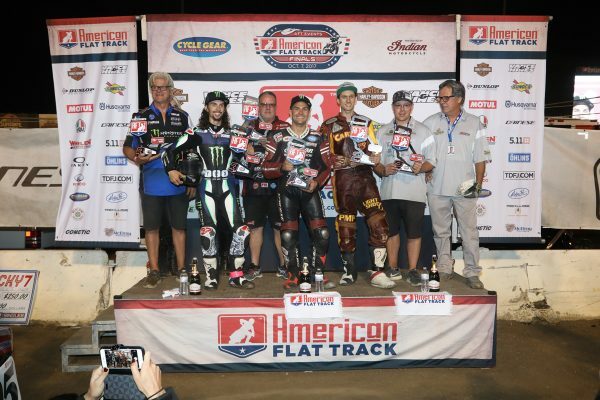 Indian Motorcycle Racing and the Scout FTR750 captured its fourth sweep of the season at the OKC Mile held at Remington Park to remain undefeated through eight races. 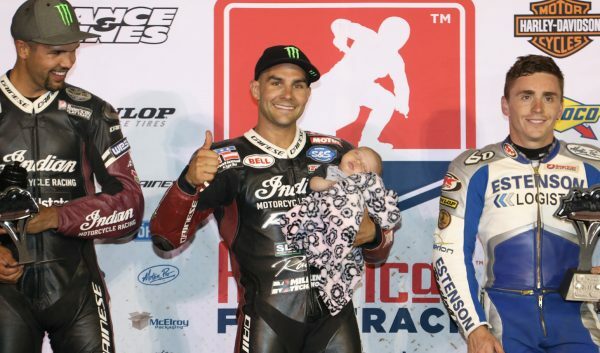 Jared Mees came-from-behind on the penultimate lap to pass Wrecking Crew teammate Brad Baker, who had directed a seemingly insurmountable lead during the main event. The victory was Mees’ second straight, propelling him to 177 points and the overall AFT Twins lead. 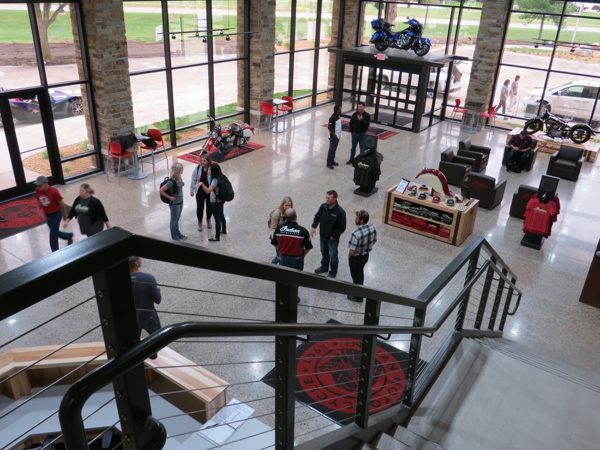 Indian Motorcycle Racing, backed by Allstate Insurance, will look to continue its run as American Flat Track heads to the Lima Half-Mile at Allen County Fairgrounds in Lima, Ohio on June 24. 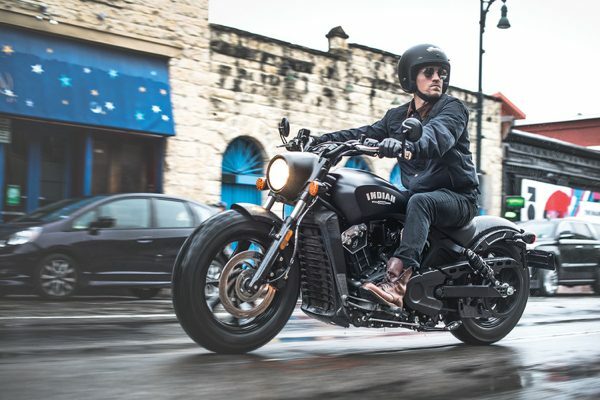 Indian Motorcycle attended Wheels & Waves for the first time last year, and this year it is going back as an official partner for the show. 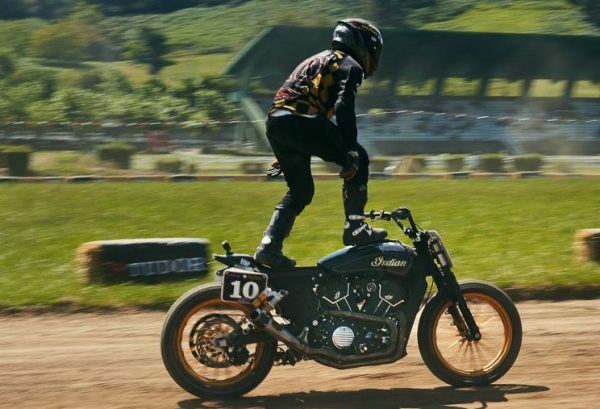 Wheels & Waves is held at various locations near Biarritz, France. The event brings together “art, action, surfing and motorcycling over five action-packed days” from Wednesday 14th June to Sunday 18th June. 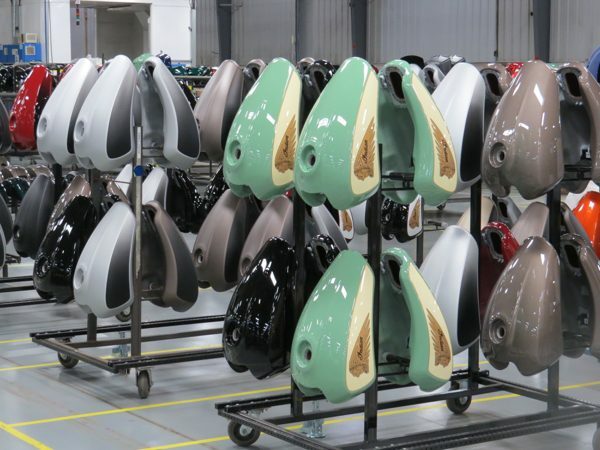 Indian’s Fastest-Selling Bagger Is Now Available in Four Additional Colorways. Joining the Chieftain Limited in Thunder Black are four additional paint color options, including Silver Smoke, White Smoke, Star Silver over Thunder Black and Wildfire Red over Thunder Black. 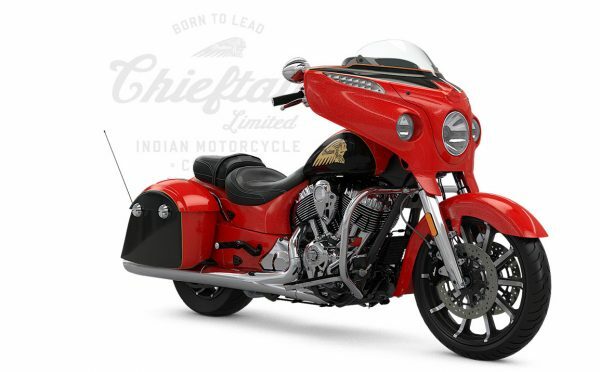 Priced in the U.S. from $24,999 to $25,699, the Chieftain Limited’s new colorways will be available at U.S. and Canadian dealerships starting in the middle of June.